The Cavs have a horrible record but have shown resilience of late. This is a team that is building for the future, and a team who has fans that would prefer losses to wins in the short term. At 16-50, they are far from the postseason, but next year we could see different results. Philly, on the other hand, had a four-year rebuild where they did nothing but lose. That time came and went, and after trusting the process, they are here and hoping to make an appearance in the NBA Finals, just a year after making a trip to the second-round. They have the second-worst scoring offense in the NBA and have to hope to start to improve in that area. They are also just #23 in defense, but have improved as the year has gone on, not quite ranking inside of the bottom five. Collin Sexton has come a long way and has put in some magnificent performances, as has second-year pro Cedi Osman, who learned a lot from the veterans who got minutes in front of him. They have some key financial decisions to make this summer, but this is a group who will improve in the years to come. They have been competitive most nights (the exception being the Pistons 30-point blowout loss), and it has shown. The guys they brought in at the deadline, added with the young core improving has yielded good results. We should not expect them by any means to beat the Sixers (though they handed Philly their first home loss of the year earlier in the season), bit it should be a fun game. The #5 scoring team in the NBA hopes to make it rain buckets in this game. Tobias Harris has fitted in well, averaging 20 points and eight boards per game on 55% shooting since coming over. Jimmy Butler has not totally impressed while here, but he continues to get buckets and knock down the three ball. Mike Scott’s ability to come off the bench and quickly fire up the threes play a big role. 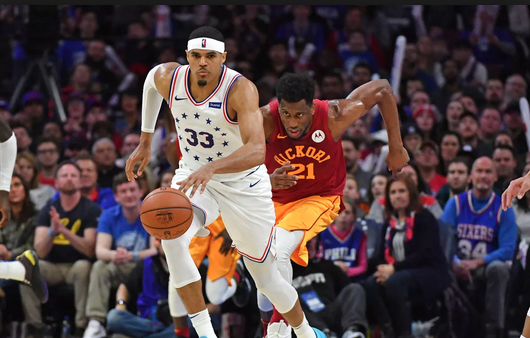 Though Joel Embiid is back and healthy, it would not be a surprise to see them sit him for this matchup and keep him ready for a night where they could truly need him. The Sixers will be hoping to land the #3 spot headed into the postseason, so that they may be able to avoid the Bucks in the second round, should they end their long drought. The East is much better now than in past years, with both Toronto and Milwaukee looking very dangerous in the top two spots. It’s hard to pick the Cavs in a game like this. Ben Simmons is going to roast Collin Sexton on offense, though the rook is going to have an impressive game himself, turning in a 30-burger for the first time in his young career. Sixers improve to 43-25. Facial Recognition Technology to Be Used in Japan’s Casinos?